So, GT Asia appears to be back. 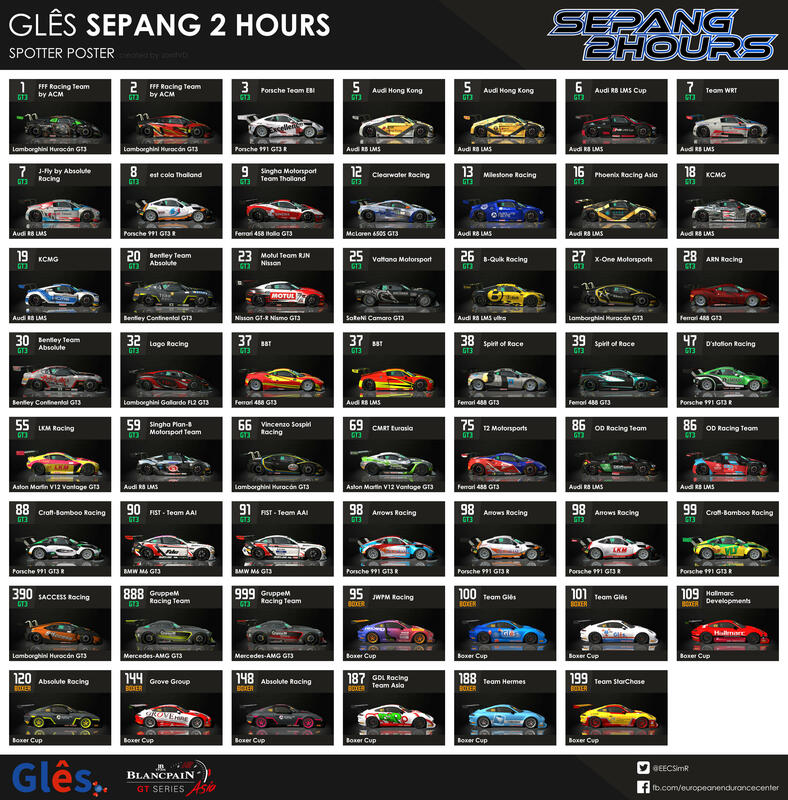 Curiously no word on the GT Asia website or anywhere other than Endurance Info so far. Seems stupid to try and run the series again after the 2017 failure. Thought they’d settled with a China GT tie in. They'll be running alongside the TCR Asia Series at the first 3 rounds, which I think will be within a Thailand Super Series weekend. I'm assuming the well-supported ThaiSS GTM and GTC classes will bolster the numbers at least for those rounds. Blancpain Asia will win. Whatever SRO does to attract cars, works. They swaned in and decimated the AsLMS GT3 grid. Over in Europe they get too many cars for Blancpain to cope with, yet the Le Mans Cup struggles to get GT3s. SRO have gotten the customer satisfaction down (if you consider the entries to be the customers in this model, rather than the fans). China GT had some really nice Racing in 2017 and they definitely have a stronger base than GT Asia could manage to pull out of Blancpain Asia’s hands. Two BMW GT4s from Team Studie. 20 full time cars pretty much confirmed, most likely it'll be 25 before the end of January. The numbers look really good. SRO are good at entry lists. That is GT3 and GT4 combined i guess? To be honest, 20-25 cars for two classes ain't really an improvement. The 2017 season had an average of 22-23 GT3 entries a round. Though, if we look at real full season numbers, it were 16 kinda full season entries, with around 37 different entries during the season. There were 5 full season entries in GT4, with two additional guest entries. So the full season entries go from around 21 to 25. I hope we still get a lot of partial and guest entries. (the onlu ones that are missing are the HubAuto Porsche. Yeah, that's combined, but that's a growth of 5-10 full time cars which is good. There's still 3 months till the season start too. So that's an improvement at this point.